When LIGHTFAIR® International 2019 opens for business in Philadelphia on May 19, the 30th consecutive staging of the world’s largest annual commercial lighting and design trade show and conference will present more than 550 exhibitors in a full-facility event featuring at least 60 manufacturers in their LFI debut joining global brands having shown at LFI from its inception. LIGHTFAIR’s 2019 run at the Pennsylvania Convention Center begins with the Pre-Conference May 19-20 and continues with the Trade Show and Conference May 21-23. More than 25,000 registrants from every U.S. state and more than 80 countries are expected to attend. 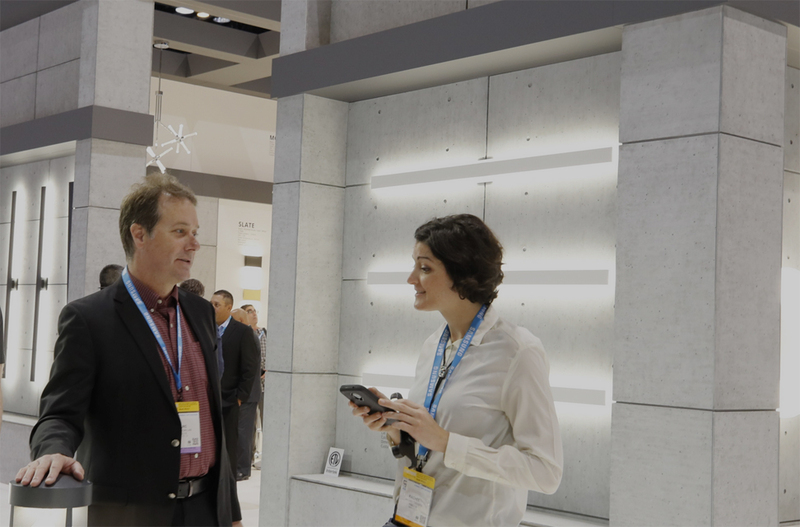 “For three decades, the LIGHTFAIR trade show has presented the best of what is new and next to the global lighting and design community,” notes Dan Darby, LFI senior vice president. “Our 2019 staging sustains that mission with a product mix of incredible depth and diversity spanning the lighting and technology spectrum. Innovations, introductions, ideations, and discoveries will abound in Philadelphia,” he adds. In its 2019 staging, LIGHTFAIR features expanded resources in 10 key categories, including controls; decorative lighting; alternative energy featuring solar power; software; exterior and roadway; digital signage; IoT; intelligent buildings; healthcare; and hospitality. The trade show floor will incorporate six curated Pavilions, each offering a custom presentation of products strategically categorized to create a critical mass affording attendees ease of access and depth of selection. Additional new events and enhancements created to enhance and enliven the LFI 2019 30th -anniversary experience are guided tours of the trade show floors and after-hours dining experiences to assist attendees in exploring new business operations. A full list of LFI events is available at http://lightfair.com/Events. For more information about LIGHTFAIR International, please visit http://lightfair.com.